The 2015 HBCU Week Conference website is now open. 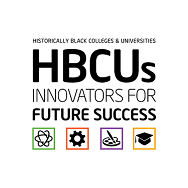 The Annual National Historically Black Colleges and Universities (HBCUs) Week Conference is planned under the leadership of the White House Initiative on HBCUs and with input from the President’s Board of Advisors on HBCUs and its conference sponsors. It provides a forum to exchange information and share innovations among and between institutions. Stakeholders, which include: federal agencies, private sector companies and philanthropic organizations) provide an overview of successful engagements that if replicated could improve instruction, degree completion and the understanding of federal policies that shape and support higher education. General registration will open on June 1, 2015.